We develop digital tools and expert systems that offer architects and engineers state-of-the-art decision support for ensuring compliance with fire requirements for residential, commercial and public construction based on Building Information Modelling (BIM). Digital tool with prescriptive rules and technical regulations. The prescriptive rules and other technical regulations for fire protection are gathered in handbooks today. These should be translated into logical decision-making rules and transformed into a digital tool. Integration of digital tools in BIM. The digital tool is integrated into BIM so it can be used to project and evaluate fire safety. 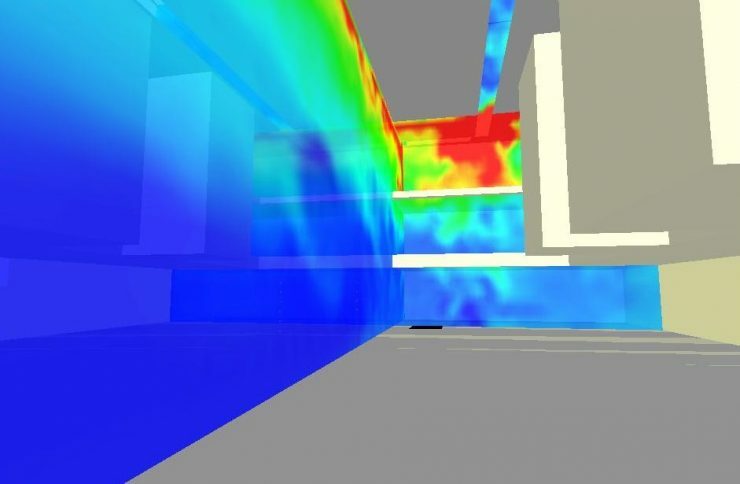 Design of buildings’ critical zones by fire must be handled in BIM. The prescriptive rules generally cover only traditional Danish construction. e.g. requires large open areas in the building and distinctive building constructions fire engineering analysis and documentation to obtain approval from the authorities.